Over the years, Trigon has specialized in the construction of religious facilities. We have completed multiple phases of construction for the same clients. We have completed 5 major projects at the historical Boston Avenue United Methodist Church and are currently working on our 4th for Fellowship Lutheran Church. Almost every addition includes some remodeling of their existing facilities. We are experienced working around ongoing operations and used to working with committees. Our religious projects have included cost estimating, constructability reviews, project scheduling and budgeting, bidding, award, on-site construction management, and project closeout. 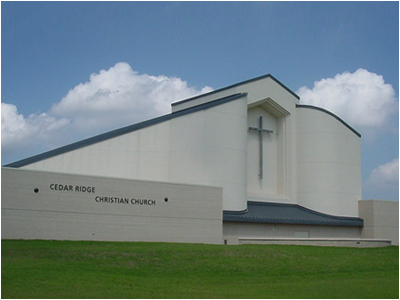 Trigon has received "Excellence in Construction" Awards from the Associated Builders and Contractors of America for our work on Cedar Ridge Christian Church and Northside Christian Church. Trigon has completed 5 major projects for Boston Avenue Methodist Church including the Jubilee Center, a 40,000-square-foot, multifunctional addition, a new central plant, a columbarium, a remodel of the children's area and a fire sprinkler system for the historic tower. 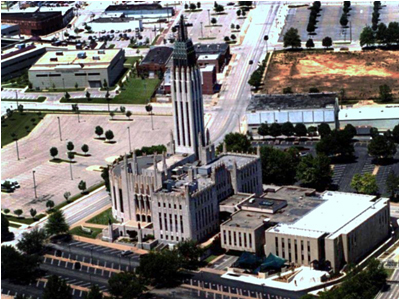 The Boston Avenue United Methodist Church, located in downtown Tulsa, Oklahoma and completed in 1929, is considered to be one of the finest examples of ecclesiastical Art Deco architecture in the United States, and has been placed on the National Register of Historic Places. Trigon recently completed a new 60,000 S.F. addition at South Tulsa Baptist Church. The project included a new 1500 seat Sanctuary, new music facilities, and the remodel of existing offices. The exterior of the building includes a 100 foot Bell Tower. The $12 million dollar addition was completed on time and under budget. The Cedar Ridge project is a 60,000 sq. ft. addition consisting of a new 940 seat sanctuary, commercial kitchen, day care facilities, classrooms and common space. The exterior is brick and stucco and includes new parking with covered drop off area and walkway. The project received an "Excellence in Construction" Award from the Associated Builders and Contractors of America, Oklahoma Chapter. 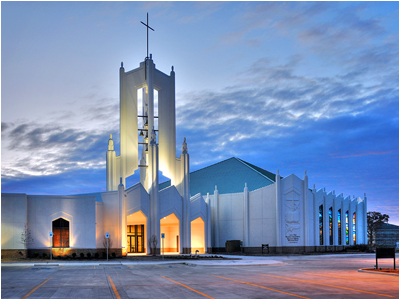 The Northside Christian Church is a unique facility standing at 48,000 square feet. It houses a new sanctuary with a capacity of 900 people. Included in the new facility, is a two story classroom wing, business office, and cafe with outdoor seating. 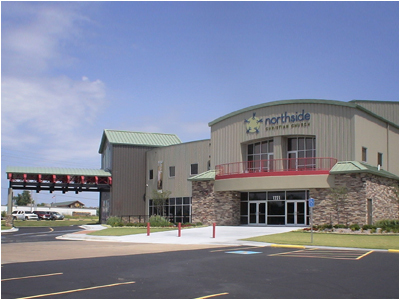 Northside Christian Church is a good example that inexpensive building materials (metal building, concrete floors, etc.) can be designed to create an architecturally pleasing facility, while controlling costs. The project was completed on time and under budget and received an "Excellence in Construction" Award from the Associated Builders and Contractors of America, Oklahoma Chapter. Your company has always done exceptional work for us and we are grateful for the relationship that continues to grow with each new project. Aside from the fact that you were able to complete the project within our budget, on schedule, and turn out a quality product for us, I was most pleased with the quality of your staff and the honesty and integrity with which they approached the project. From start to finish, we felt that Trigon made the successful execution of the church's project your top priority. Your ability to complete such a high quality project within the budget and schedule constraints is a testament to your management skills. Trigon's expertise in Construction Management helped provide us with a very unique design for our new Worship Center. It has been a pleasure working alongside Trigon from the design phase, through the construction phase, and now into the customer service phase.